More stable, hardy motor sailer by the Danish shipyard Mascot Boats AS from Gesten/Denmark. Solid wheelhouse with steering position and galley. The Mascot 910 is a very stiff, seagoing motor glider with a ballast of 1,900 kg (ballast ratio about 45%). This example has been well maintained and upgraded. She is a very clever design packing in a very well thought out spacious layout within just 30 feet. 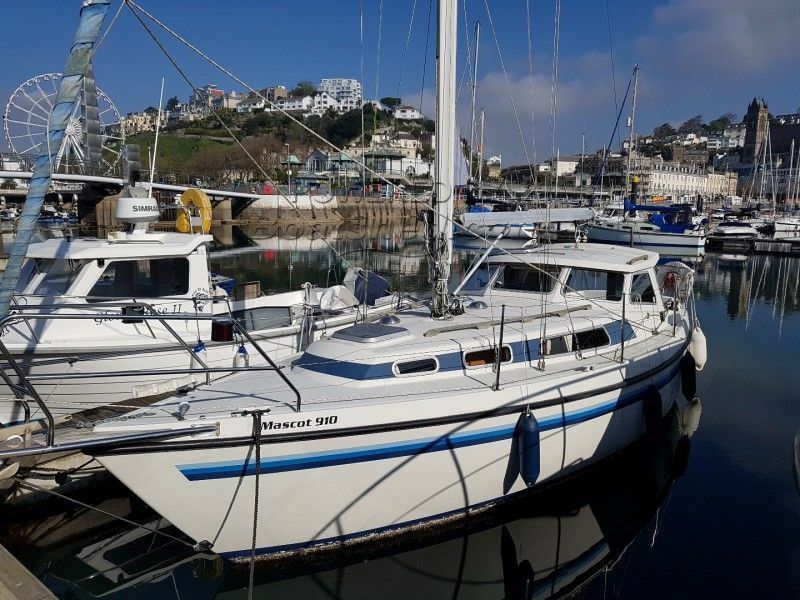 If your looking for a Motor Sailer, that can also sail well that is robust and spacious for under £30k this is just for you. This Mascot 910 has been personally photographed and viewed by Phil Key of Boatshed Torquay. Click here for contact details.